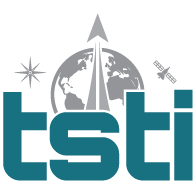 TSTI is a premier provider of onsite space systems engineering training to NASA, DoD and Industry. Ideal for individuals and small groups. Self-paced but with individualized attention to help you achieve your learning goals. Starting a new project? Struggling with an existing one? Need integrated work force development tailored to your project? Project start ups. Red Team proposal review. Expertise in Model-Based Systems Engineering (MBSE). My new hires are afraid to ask questions and take too long learning the basics. Senior engineers and project managers are struggling to execute on time and budget. Our team spends too much time trying to just define our problems, so we can't seem to focus on getting them solved. We have to get our new project from concept to proposal ASAP! My team members have a diverse technical background, but don’t share a common understanding of our project and how to complete it.